UD Oliveirense overcame Barça Lassa (4-2), breaking the latter’s streak of 11 wins and 1 draw in the European competition. Jordi Bargalló opened the scoring in the second minute, forcing Edu Castro's side to react quickly, however, the team from Renato Garrido were comfortable in defence for the most part. After a number of passages of play without clear chances, Ignacio Alabart tied the game with a spoon shot in the 12th minute, his 19th goal in 22 games. Barca Lassa improved their performance but Panadero was unable to give them the lead from a penalty, Oliveirense taking full advantage before the break with ex-Blaugrana Barroso scoring his first goal. 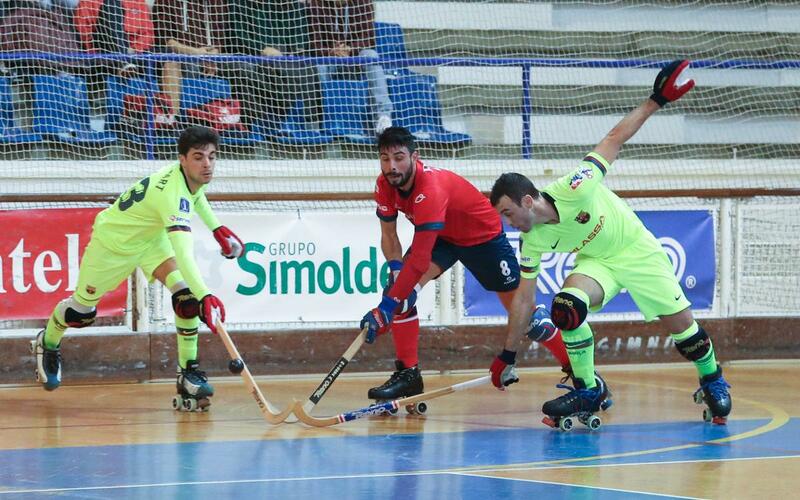 The start of the second half began with a direct foul in favour of Barça Lassa after a blue card to Jorge Silva. Pau Bargalló couldn't score but would soon assist João Rodrigues (six goals in three European matches), to level things up again (2-2, min 28). An immediate response saw Jordi Bargalló put Oliveirense into the lead once more (min 29), and at this point, the hosts began to turn the screw with Barroso making it 4-2 in the 36th minute. Both teams will face each other again in the group stage of the European League on January 19, but next up for Edu Castro’s team are Igualada on Wednesday. UD Oliveirense: Xebi Puigbí, X.Barroso, Marc Torra, Jordi Bargalló and Jorge Silva –starters- Moreira, Cancela, Garcia and Barreiros. Barça Lassa: Sergio Fernández, Gual, Pablo Álvarez, P.Bargalló andPanadero –starters- Pascual, Nil Roca, I.Alabart and J.Rodrigues. Goals: 1-0 Bargalló (min 2), 1-1 I.Alabart (min 12), 2-1 Barroso, 2-2 Joao Rodrigues (min 28), 3-2 Jordi Barroso (min 29). 4-2 Barroso (min 36). Officials: Massimilano Carmazzi and Joseph Silecchia. Blue card to Jorge Silva (min 27).